Grid Resilience: Will FERC Think Beyond Bulk Power? Several groups are urging FERC to give microgrids and distributed energy resources a place at the table as it searches for ways to improve electric grid resilience on the bulk power system. The groups offered input recently as part of a proceeding (AD18-7-000) that FERC opened after rejecting U.S. Energy Secretary Rick Perry’s push to subsidize coal-fired power plants. FERC determined that the subsidies aren’t necessary for grid resilience but decided to further explore what is. FERC’s domain is the bulk power system – centralized power plants and transmission lines – and not the distribution system where distributed energy resources (DERs) reside closer to the customer. But the pro-DER groups are using the proceeding to underscore how DERs increasingly influence and serve the central grid. “Commission policies that promote greater deployment of advanced energy technologies on the distribution grid, such as policies supporting development of microgrids, will have direct resilience benefits on both the resilience of the transmission grid and distribution grid,” said the Advanced Energy Economy (AEE) in written comments filed with FERC. 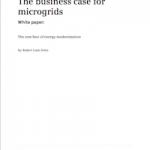 Microgrids, energy storage, advanced metering infrastructure, distribution automation, and other forms of advanced energy can “help integrate variable generation, thus improving the system’s resource adequacy while providing other operational benefits such as decreased reliance on fuel delivery infrastructure,” said the business advocacy group. The organization also noted that DERs can pinpoint local problems, “making them ideal for resolving operating reliability issues on discrete sections of the grid.” For example, microgrids kept the energy flowing at Princeton University, New York University, and Co-Op City in the Bronx, even more than 8.1 million other customers in 21 states lost power. The Energy Storage Association (ESA) took it a step further and argued that energy storage should be incorporated in the transmission planning process. About 95 percent of US power outages occur because of bad weather, which damages transmission and distribution lines, ESA said. The association urged FERC to require that regional transmission organizations (RTOs) and independent system operators (ISOs) evaluate energy storage when evaluating their transmission needs. So far, only the California Independent System Operator has begun investigating this role for storage. 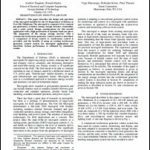 “Each RTO/ISO should have a clearly identified methodology for evaluating storage proposals as a solution to reliability, economic, or public policy needs. This is currently not the case, depriving the grid of an important tool for resilience,” ESA said. More than 800 MW of battery storage has been installed in the US, representing 1,100 MWh available for use. Rapidly falling battery costs, as well as the growing electrification of the US are expected to lead to a quadrupling of storage capacity in five years, according to ESA. Tesla proposed that FERC define grid resilience in terms of people not equipment. “The definition of resilience should refer to the resilience of electric service as experienced by end-use customers, which is the ultimate purpose of the entire bulk power system. By contrast, a definition of ‘resilience’ oriented primarily toward the availability of particular generation or transmission resource would elevate equipment over the people that the equipment is designed to serve — which would badly miss the point,” Tesla wrote. 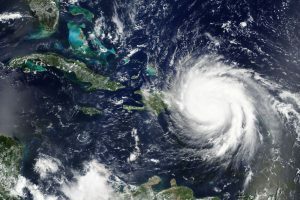 The company noted several examples where its microgrids and batteries already provide resilience, including Australia, California, Florida and Puerto Rico. 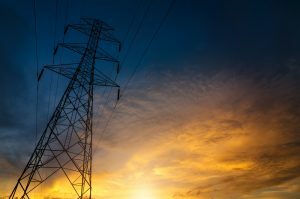 Utilities can achieve grid resilience by using microgrids and similar technologies “as building blocks and by investing in distributed communication and controls that allow the reconfiguration of the distribution system in response to disturbances so that microgrids can support one another and the larger grid,” MRC said. “The transmission system must respond to this evolution. Follow our coverage about efforts to improve grid resilience. Subscribe to the free Microgrid Knowledge newsletter.